Percy Jackson and the Sea of Monsters: The sequel to the 2010 film will (hopefully) feature Percy and his friends journeying to the Bermuda Triangle to capture the Golden Fleece that will protect Camp Half-blood from the forces of (hopefully) Kronos. My wife will never forget the sight of 200 Grade 7’s nerd raging after she took her class on a field trip to see the first movie. There was so much that Disney either changed or left out of the first book, like the fight with Ares, and the identity of the series’ true villain. We can only hope that the producers have learned their lesson and not taken the first films “moderate success” to mean “Change more stuff”. Arrow: This spiritual follow-up to Smallville features a former One Percenter named Oliver Queen as he returns to his home city and decides to take up a bow and arrow for the poor and downtrodden. If all goes well, Lou Dobbs will be outraged. Primeval: This is a spin-off of the British Series Primeval, which features a group of scientists dealing with ferocious beasts from the distant past and future dropping into our time through various time swirly things and causing havoc. The wikipedia entry says that this series will actually be set in Vancouver (A show about carnivores set in a city that actually has some. Not bad ^_^). The original Primeval is now into its 6th season, and since international co-productions like Murdoch Mysteries have a habit of sticking around, perhaps this one will too. 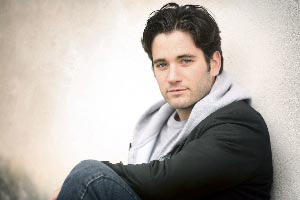 CW’s The Arrow just updated its cast list today to include Colin Donnell as title hero’s best friend Tommy Merlyn. In this incarnation, Merlyn is one of Oliver Queen’s fellow “trustafarian” friends from his past, but notices that Oliver returns to the city a changed man. 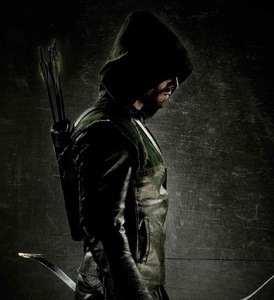 Whether that Tommy will become the Green Arrow’s arch-rival Merlyn in this series remains to be seen.